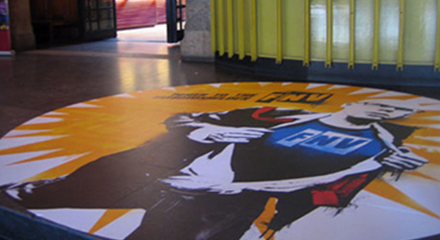 Steal the show at your shop, showroom or presentation stand with fantastic floor stickers from Helloprint. Lead your customers to your sales or notify them of your specials with these eye-catching stickers. 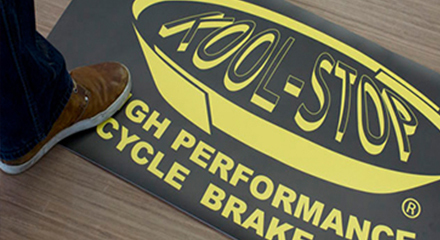 Our stickers feature a anti-skid coating and scratch-resistant! 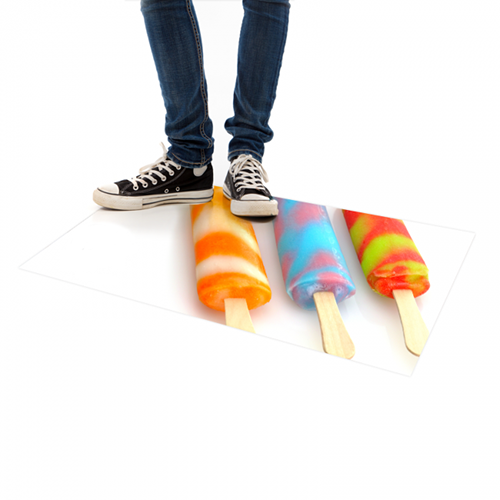 Up to 134cm wide & limitless length! Please note: When using these stickers on marble or stone floors, stickers could cause a tiny colour difference! Also PVC floors are not perfect for applying floor stickers. All other floors should be fine, but contact our experts in case you have doubts! 2 What size do you want? Fill in the height and width of your panels in centimeters. We will calculate the surface in square metres automatically. NOTE The width cannot exceed 134cm. If you need a larger sticker, this will come in two separate sheets that will add up to your custom size. 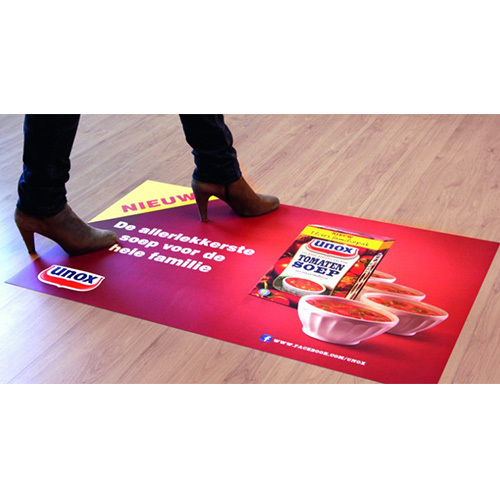 Floor sticker in a rectangle form is possible with a clean cut. 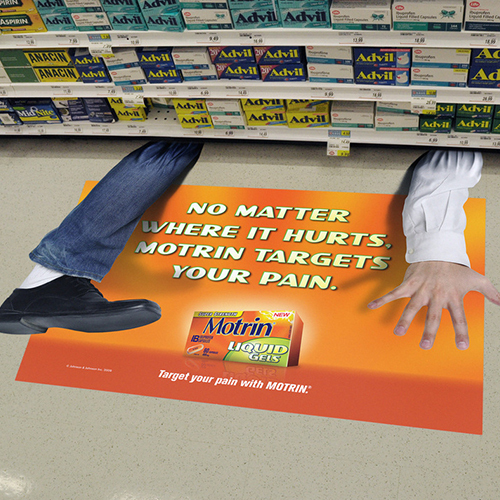 Floor sticker in custom shape is possible with a contour cut.